Ingersoll High security 10 Lever close shackle padlock suitable for both outdoor and indoor use. Padlock body has drainage holes to prevent build up of water and key hole cover protects the locking mechanism. All vital parts of key mechanism protected against drilling. Double ball locking mechanism secures shackle. Body comprised of hardened steel laminations finished in nickel chrome. 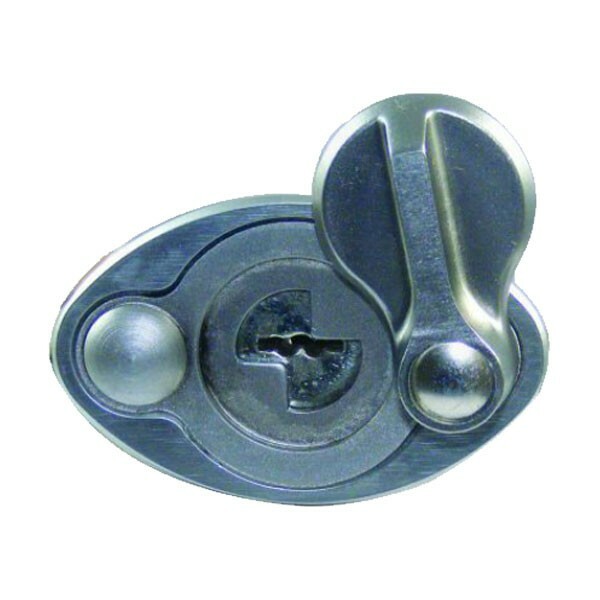 Hardened steel close shackle for extra protection. Locked and unlocked with key. The key is only withdrawn when locked.